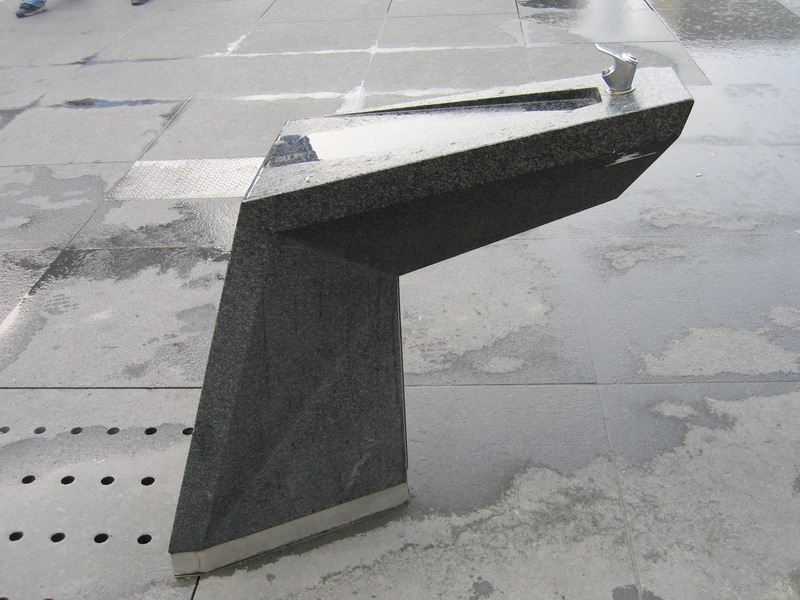 This gorgeous thing is carved from granite, harkening back to a time when drinking fountains were built to last, when sources of water were also art. This fountain is at the edge of a nice Toronto square. I'm not sure if there are more of this model scattered through the city. 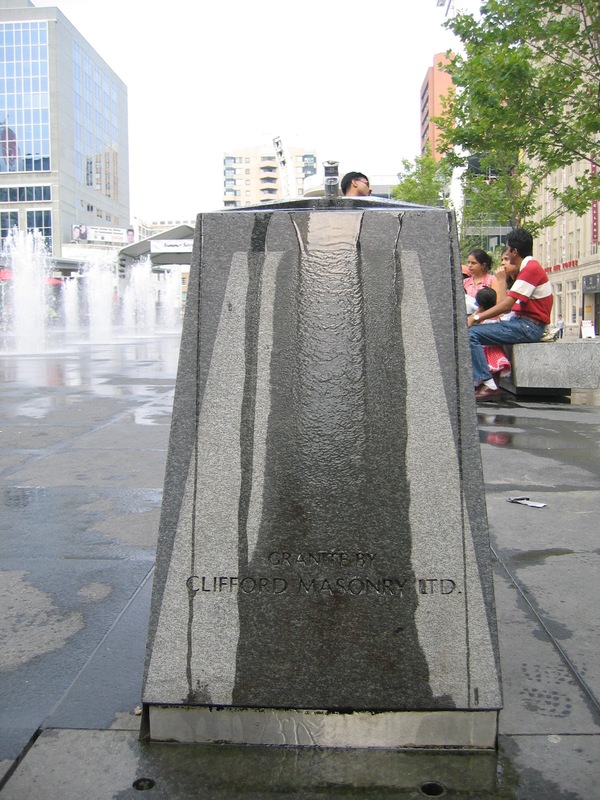 But notice how the excess water slides down the smooth stone to a simple clean drain at the base. It's sublime.